Creating an ultimate is never easy, and here the key was to marry a sensual yet logical organic form to state-of-the-art audio technology. The result, which was arrived at remarkably smoothly, is nothing short of spectacular – an elegant synthesis of art and science. 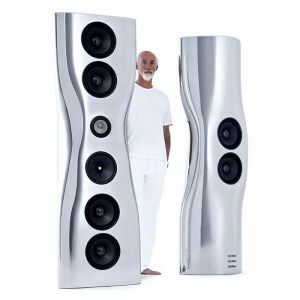 The Muon is a 21st century totem of incredible power and beauty, producing unrivalled clarity of sound. Listening to it is a jaw-dropping experience. Whether classical, jazz, rock or hip-hop, the music envelops you in pure sensorial delight. Shut your eyes and it is hard to believe that you’re not hearing a live performance.